The Supreme Court, on Thursday, asserted that it was the “constitutional duty and responsibility” of the Government of NCT of Delhi to ensure that 167 additional court rooms are available when the newly appointed judges would be ready to start working by June/July, 2020. 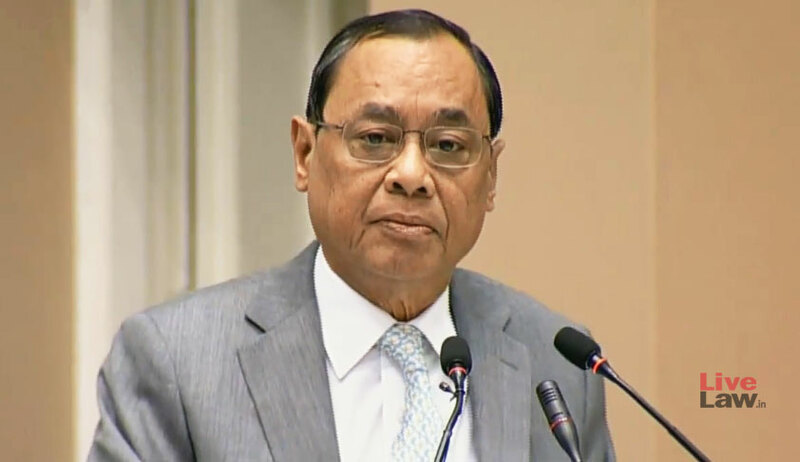 A bench comprising Chief Justice of India Ranjan Gogoi, Justice Sanjay Kishan Kaul and Justice KM Joseph ordered that this should be done, if required, by taking suitable premises on rent or lease. During the hearing, the court perused an affidavit filed by the Registrar General of Delhi High Court, who had stated that the advertisement for filling up 50 posts of Civil Judge Junior Division dated November 14, 2018 had been modified to increase the number of posts to 147. The Registrar General had further submitted that he expects the process of appointment to be completed within a period of six and a half months from the date of advertisement, which would be sometime in June/July, 2019. Thereafter, the court was told, the selected officers will undergo mandatory training for one year and will be ready to commence court work sometime in June/July, 2020. The court’s order dated November 15 had noted that to accommodate these officers and to make the court functional, Delhi would need an additional number of 167 court halls: 47 in Karkardooma Court Complex; 16 in Saket Court Complex; 64 in Dwarka Court Complex and 40 in Rohini Court Complex. The order passed on November 15 had also rejected the time frame of October, 2021/December, 2021 for construction of the additional court premises, as submitted by the Delhi Government. The Delhi Government had therefore been asked to respond on the availability of infrastructure in this regard. The affidavit by the Chief Secretary now submitted an alternative proposal of constructing 195 court halls in three different locations in the trans-yamuna areas. The tentative cost was submitted to be Rs.332 crore for the new construction, instead of modifying the existing court complexes. The bench further observed with dismay that the possibility of the Government of NCT of Delhi completing the constructions of new court halls by June/July 2020 (when the additional courts are expected to start functioning) “is remote”. “Not to talk about commencement of construction and preparation of blue-print even the project is at the stage of mere conception and ideas are yet to fully develop,” it noted. The Government of NCT of Delhi and the High Court has now been directed to submit their respective responses on or before December 12, and the matter will next be heard on December 13.